Hawaii is one of my favorite places on earth. I love every thing about it. The chill vibes, amazing food, sun followed by tropical rain showers, swimming multiple times a day, local reggae radio stations, the flora and fauna, sunrise and sunset...the only hard part is figuring out which island to visit. Kauai has been my go to. Even though the island is small enough to drive from one side to the other in a day (there isn't a road that goes around the whole island, FYI) I would suggest staying in a few different places. The north shore with the Napali Coast is stunning. That's where my favorite beaches and hiking trails are and Hanalei is the sweetest little Hawaiian town. The only downside is that it tends to rain a whole lot more there. 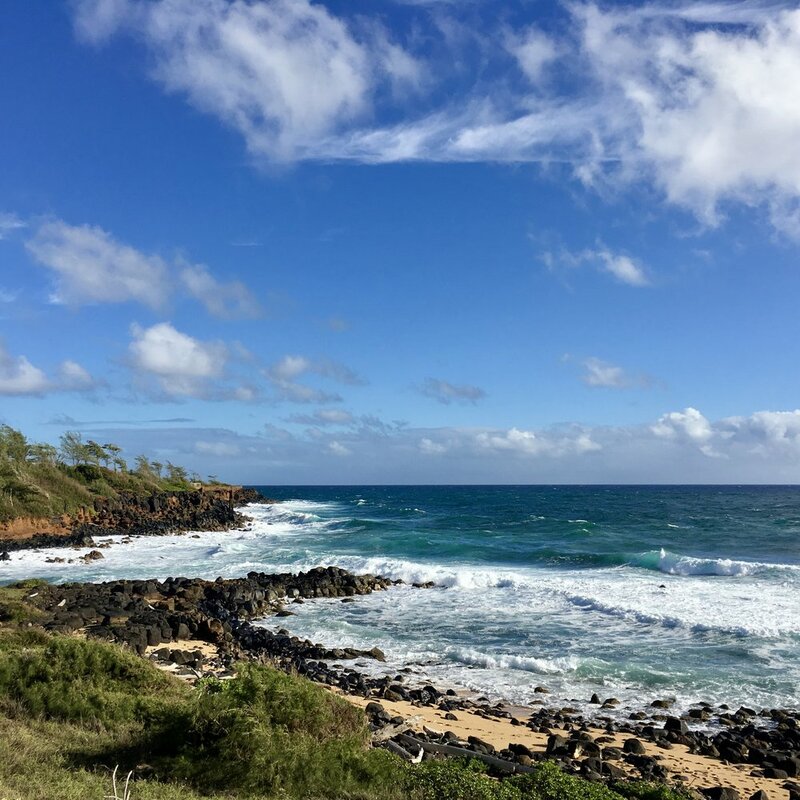 Kapaa is pretty central (and near great food) and there's always a sunny spot in Poipu. Lodging can vary quite a bit. You can camp on some of the amazing beaches for less than $10 a day, rent a Westfalia or look for an Airbnb / hotel. Renting a car is a must. And if you plan to go to Polihale rent a jeep for a day. Here are my favorite things about Kauai sorted by location. Stay near or in Hanalei. Enjoy the beach and all the surf shops. Drink the best Mai Tai's at the somewhat divey Tahiti Nui. Eat fresh fish sandwiches from The Dolphin. Make day trips to the Kilauea Fish Market for amazing wraps (visit the Kilauea Lighthouse when you're there). Hike along the Napali Coast on the Hanakapi'ai Trail to the beach (2 miles one way) and then up to Hanakapi'ai Falls (2 miles further). You will fall. You will be covered in red mud. Your shoes will be ruined. You'll death grip ropes to cross the river and get soaked and all of it will be amazing. The views are spectacular. After the hike hang out where you parked at Ke'e Beach or head down to Tunnels or Lumahai Beach. Both are great for swimming and sometimes snorkeling. Be a beach bum for a day and pack a bag and head east. Anini Beach is great for swimming and snorkeling. Secret Beach is a bit further. You can't swim but you're likely to be one of ten people walking a mile or so down the absolutely beautiful beach. Stay in Lihue if you arrive late (The Garden Inn does the trick). Maybe spend a few days near Kapaa or Wailua. The beaches in this area aren't great but there is plenty to do. Like eat! Start your day off in Kapaa at Java Kai or the Kauai Juice Co (blueberry basil is my fav kombucha). 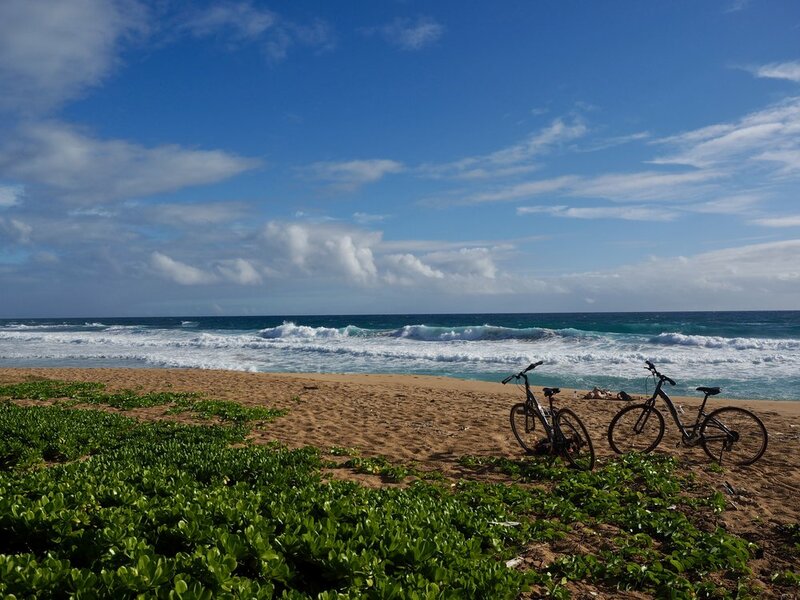 Rent a bike at one of the many places and cruise along the Kauai Path. Stop at all of the beaches and overlooks along the way, especially Donkey Beach (which is off a trail near the end of the path). Head back for lunch at the Pono Market. 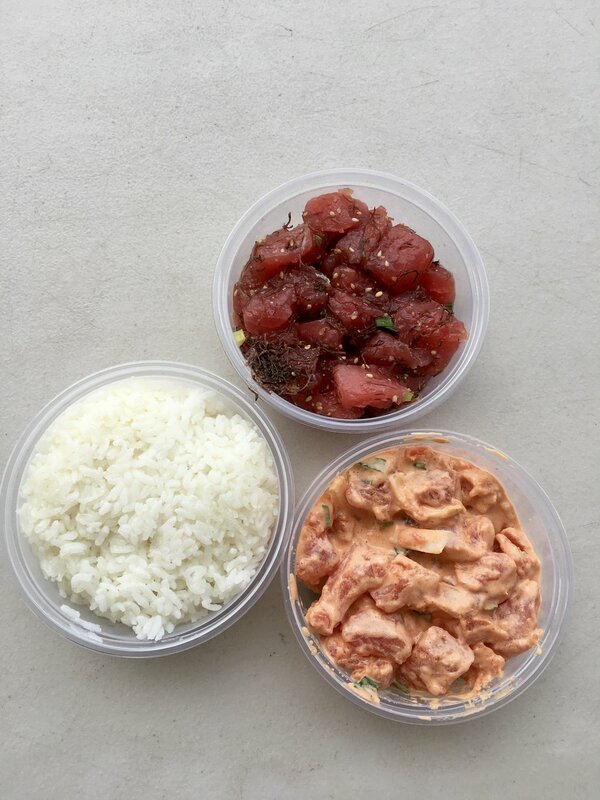 Spicy ahi poke will do. Rest up for the best meal of your life at the Sleeping Giant Grill (it used to be the Kilauea Fish Market #2). Get the habenero chicken plate mochi style. Trust me. You'll be coming back here a few times so you'll also be able to try the fish taco (mochi style as well) and wraps. 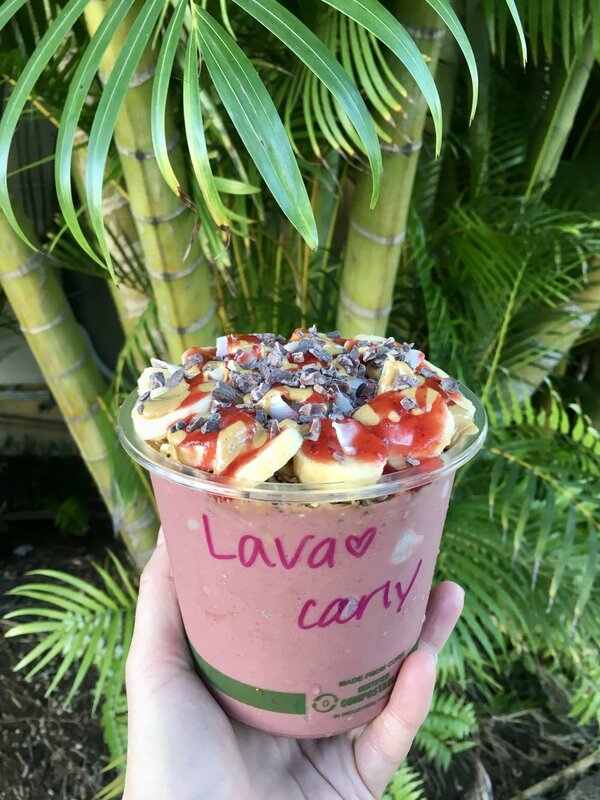 If you're in the area for another day hit up The Coconut Cup Juice Bar for a Lava Bowl (acai bowl with peanut butter and bananas). 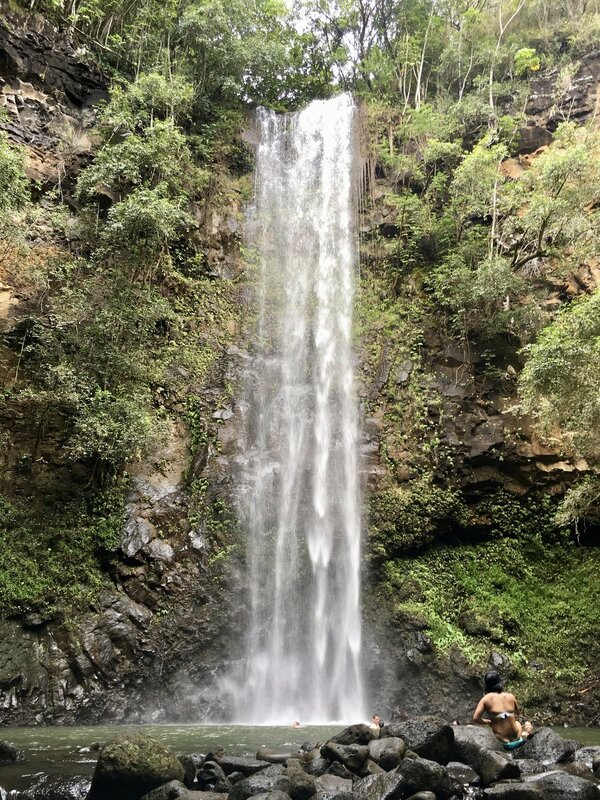 Take a kayak trip up the Wailua River and hike to Secret Falls. Head down to Lihue to eat at Mark's Place or Fish Express. On your way back stop at Wailua Falls. Pono Market can do no wrong. You can usually find a sunny spot somewhere around Poipu (remember that when it's pouring everywhere else on the island) and there's plenty of places to stay nearby. My favorite south side start begins at Anakes Juice Bar inside the Kukuiula Market in Koloa. They have four different acai bowls all equally great. And they are freaking huge. With beach supplies in hand (Did you know an entire bottle of wine will fit nicely inside a Starbucks Trenta cup? I discovered this trick in Kauai.) head to Kiahuna Beach and hang out there all day. If you feel like it stroll down to Poipu Beach and do some snorkeling - last time I saw a crazy amount of fish and an octopus! 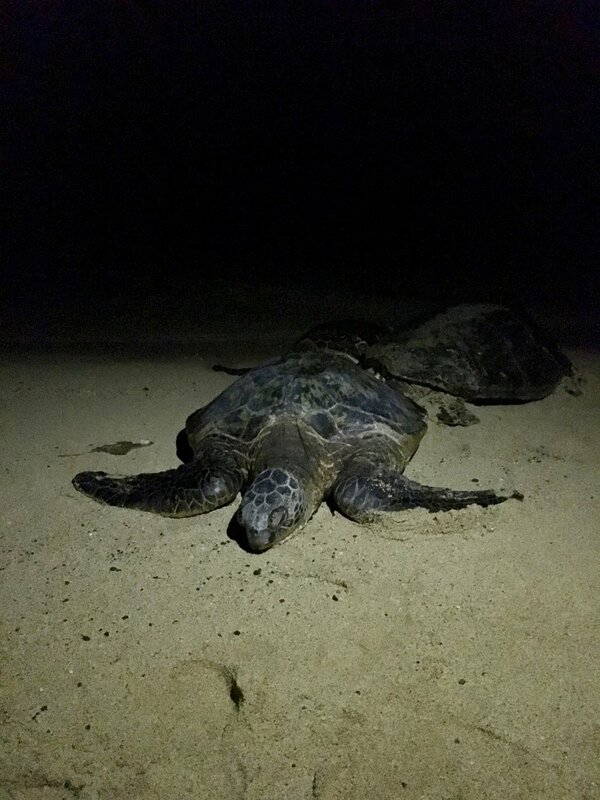 Some seals might be sleeping on the beach along the way and night dozens of sea turtles come up to rest depending on the time of year (keep a look out - those aren't rocks!). If you want a lunch break or early dinner head back to the Kukuiula Market for a Gorilla Bowl at Makai Sushi (they usually run out by 5:00 PM). 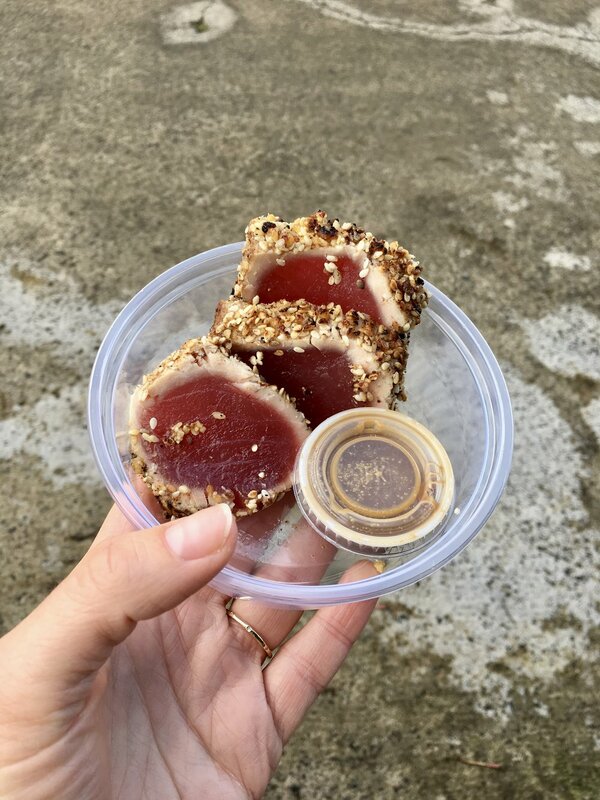 Or you can always head into Koloa and stop at the Koloa Fish Market for some poke or seared ahi. My favorite hiking trail in the area is the Maha'ulepu Heritage Trail. It takes you right along the cost with stunning views (keep your eyes open for whales jumping) and lots of beaches to jump in. Another day in paradise complete. 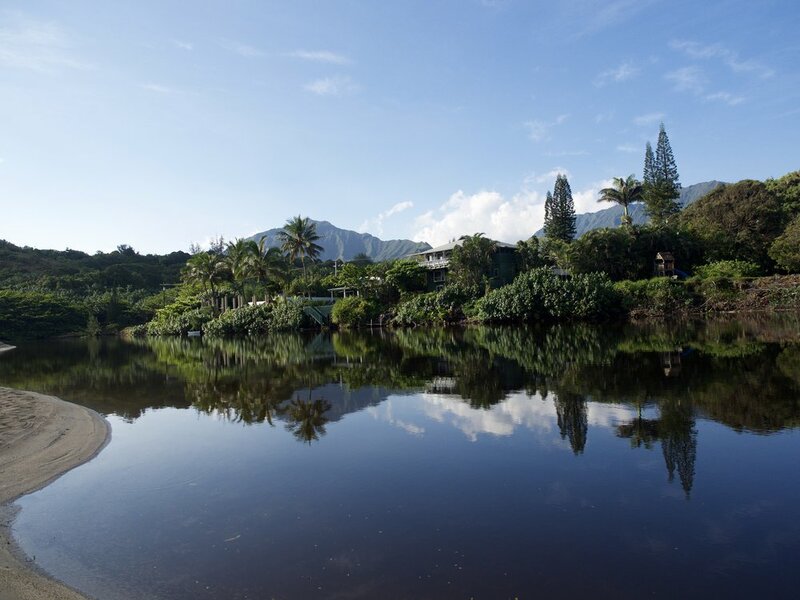 Take a day trip up the west side of Kauai. Make sure you bring warm clothes and plenty of snacks or stop by the Ishihara Market in Waimea town to stock up (there's nothing past Waimea - including gas). Take your time driving through Waimea Canyon State Park. Stop at every overlook since you never know when the clouds will roll in (or out) and pick a hike or two if it's dry. If it's still clear and not raining continue to drive through Waimea State Park to Koke'e State Park. If you drive to the end of the road and you might be lucky enough to the most spectacular view of the Napali Coast - so I've heard. I have tried three different times. 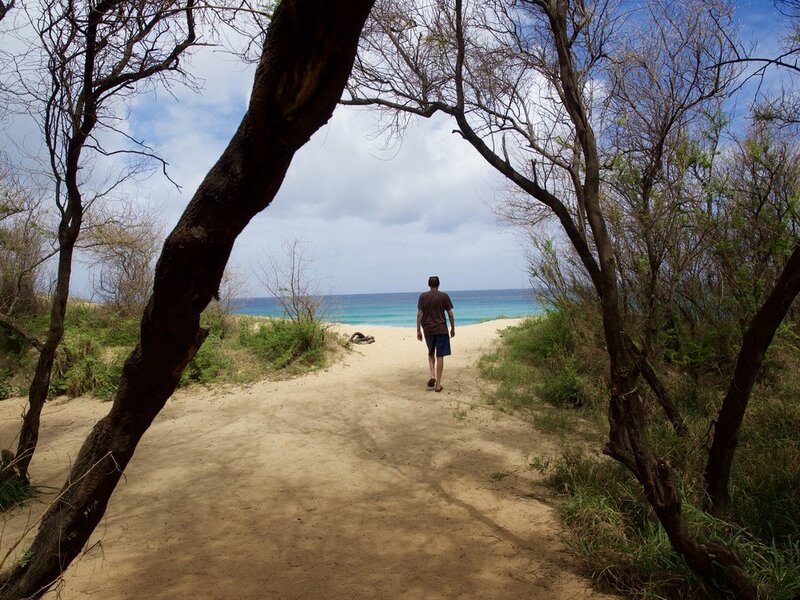 If you have the proper rental vehicle (a jeep) head towards Polihale State Park. Even though you can't swim here there's a good chance you'll be the only person around soaking up the sun and staring at the Napali Coast.